PDF: -- 224K -- Provides the document in Portable Document Format. HTML: -- 204K -- Displays the document as a web page. articleEnFa.pdf: -- 224K -- . A public unsolicited proposal for joining, adopting and/or licensing the ByStar Digital Ecosystem as a strategy for rapidly becoming an internet application service provider. This is a public unsolicited proposal. It has been web published as PLPC-180040 at http://www.neda.com/PLPC/180040, and is available in pdf and html formats. Please let us know your thoughts about this proposal. You can send us your inquiries and comments via the URL http://www.neda.com/contact or email us at bystar@ the base domain of: mohsen.1.banan.byname.net. This proposal is directed towards any organization or business with an existing user base to whom they provide certain (limited) internet application services – or to whom they wish to provide internet application services. Throughout this document we will refer to such organizations and companies as “You,” or “The Client.” We use the terms “user base” and “users” very broadly, as any combinations of: (A) an explicit commercial relationship with your users (e.g., subscription); (B) customized public information audience (e.g., financed through targeted advertising); (C) employees of an organization or students and faculty at a university or high school; (D) a specialized relationship with your customers where their information passes through your products. We have built The Libre-Halaal By* (ByStar) Digital Ecosystem, a unified and non-proprietary model for autonomous internet services. ByStar is comprised of federations of autonomous services. The integrated facilities of ByStar are vast in scope – the “*” in By* comes from the glob expansion symbol. The intended scale of these services is planet-wide. What is being offered to You is the entirety of ByStar under your full control. All of ByStar is copyleft. ByStar is not owned. This proposal presents a strategy for You to rapidly extend your service offering to include comprehensive Layer 7 capabilities. The result will be a complete, fully integrated communications and computing service for your users. This proposal is not about a conventional strategic partnership with a Layer 7 company. How this proposal is different is that You, yourself, will become an independent Layer 7 operator. You will provide Layer 7 services to your users directly – not through a third party. Nor is this proposal about a narrow set of niche Layer 7 services. It is about You becoming a complete, full-fledged Internet application services provider. And it is about doing so in a highly cost-effective manner. Unlike typical rise-of-the-middle internet services, ByStar is not centralized. It is highly distributed. It is based on the model of end-to-end interactions amongst autonomous services forming federations of autonomous libre services. Thus, facilitating preservation of the user’s autonomy and privacy. The entirety of ByStar software and services are internally transparent. ByStar software and services development process is fully collaborative. They are comprehensive, unified, consistent and cohesive. The scope of ByStar services is broad. We are offering you, ByStar based on the Libre Services model, a completely non-proprietary model for delivery of Internet Services. Libre Services are an extension of the principles of free software into the Internet Services domain. They are Internet Services that can be freely copied and reused by anyone. Any company can reproduce and host any Libre Service, either for its own use, or for commercial or non-commercial delivery to others. The Libre Services model exists in relationship to the proprietary Internet Services model of Facebook, MSN, Yahoo and Google, in an analogous way to how GNU/Linux exists in relation to Microsoft Windows. For You and your user base, entry into the Layer 7 service market represents a major potential business opportunity. Based on the Libre Services model, You can move decisively into the network application services arena. All the necessary assets exist to enable You to do this, in the form of the ByStar family of Libre Services. We propose to work with you as consultants to deploy ByStar as a Layer 7 service operated by You, and under your full control. The opportunity presented here is large, complex and ambitious. It is based on a radically new model for delivery of Internet Services, demanding sophisticated domain-specific understanding, and an entrepreneurial spirit. The benefits to You are: immediate entry into the Internet Services arena as an independent service provider, greatly expanded scope of relationship with your existing users, and potential for a much larger and growing user base. The proposal presented here is part of something much bigger. The Libre Services and ByStar models described in this proposal have enormous implications. The Libre Services development model, and the ByStar unified services model, can transform the entire global Internet completely. They can transform it from its limited, proprietary, ad hoc incarnation of today into something far more powerful. The proposal we are presenting is an early manifestation of the next major stage of evolutionary growth of the Internet. That document (PLPC-180016) describes the totality of libre-halaal software, libre-halaal internet services, content generation and content publication facilities and societal frameworks that are designed for preservation of ByStar user’s autonomy, privacy, freedom and health of society. The model, architecture, design, and capabilities of ByStar are described in that document and we do not repeat that information in this proposal. Please read (PLPC-180016) in parallel with this document. A summary of pointers to the full big picture is included as an Appendix to this document. While ByStar includes a large dose of morality, ethics and ideology; this proposal is not about ByStar ideology. It is about ByStar capability. The network-based service model has emerged as the dominant computing and communications paradigm for the end user. All usage modalities are becoming fully integrated in the network-based model. This includes in particular the wireless and mobile aspects of personal computing and communication. Additionally, computing and communication capabilities of the user should not be split over too many inconsistent service providers. The nature of your business involves a set of relationships with a set of users in some particular line-of-business contexts. In those particular line-of-business contexts, you are expected to provide certain application services to your users. It will likely be difficult to make these services consistent with the user’s environment and the user’s expectations of privacy. Expanding the scope of the services that you offer to your user and expand your relationship with your user. Profit from growth and maintenance of the services that You offer to your users based on communal external frameworks. To put these commonalities and the opportunities in perspective, let’s consider five very different examples. The case for the first 4 examples is based on business and engineering without any moral justification. The 5th example is morality based. A layer 3 service provider (an ISP). Say Clearwire (Clear). A specialty layer 7 Application Service Provider (an ASP). Say Classmates.Com (Classmates). A university or a high school or a corporation (a collection of employees and/or students). Say University of Washington (UW). An exercise equipment manufacturer (a producer of personal information). Say Nike (Nike). Some Church or Mosque (those concerned with morality, autonomy and privacy) . Say Overlake Christian Church (OCC). After a great deal of investment in layer 3 wireless infrastructure, Clear (or its latest acquirer) will be providing layer 3 internet services to a set of subscribers (users). Clear is in a position to also offer its user base, comprehensive full layer 7 application services (email, VoIP, personal web sites, etc). Clear can do so in the traditional proprietary model. Or Clear can do so based on the ByStar Libre model. Clear has come to understand that the choice of software of Windows vs Linux should be in favor of the non-proprietary one. Will Clear recognize that choosing ByStar is also as clear as that? Any layer 3 service provider can very easily offer the entirety of services and capabilities of ByStar autonomous services to its layer 3 users. ByStar federated services then augment ByStar autonomous services and puts the layer 3 in a position to compete directly with proprietary layer 7 providers. This is very different from the current setup where the layer 3 provider is only underneath the layer 7 provider. Early on in the evolution of internet Application Service Providers (ASPs), it was relatively easy for a service provider to take on a specific aspect of interpersonal interactions and build a specific service. Classmates.com did that for “Reconnect with High School Friends” arena. Initially, Classmates.com created a specialized central service and people used it. So it was initially somewhat successful. Things evolved quickly. A more generalized central (rise-of-the-middle model) service called Facebook came about and now people reconnect with their high school friends on Facebook. The trends are clear. Classmates.com is on its way to becoming irrelevant and obsolete. So, what is the specialty Classmates.com to do? http://en.wikipedia.org/wiki/List_of_social_networking_websites. And all of them are in the same boat. ByStar provides classmates.com the opportunity to re-invent itself with the autonomous end-to-end model. Every existing classmates.com user can be offered a ByName or ByAlias service. And then classmates.com becomes both a ByStar Autonomous Service Provider and also a ByStar Federated Service Provider that continues to reconnect high school friends. But which can now also do plenty more. At that point, classmates.com is no longer at the mercy of Facebook. The ByStar model permits little guys to gang up on the big guy. This amounts to a full model inversion which opens the door to a large set of new opportunities. The primary author of this proposal is an alumni of the University Of Washington (UW). We use him (Mohsen) and University Of Washington as examples in this section. These ideas are equally applicable to any university or high school – or any other for-profit or non-profit organization with a set of employees. UW like most universities, provides a set of teaching related services to its students. These services include class schedules, library dues, proprietary web based email and calendering services, tuition and financial aid accounting information, campus wide information resources and various other customized services. Students can obtain disk space for public web services. In UW’s digital ecosystem, much (if not most) software and services are proprietary. In this respect UW is very similar to other for-profit organizations. The scope and span of UW services are designed to last while the student is a paying customer. Students and faculty do not have autonomous, private mail or web services. UW provided autonomous publications services are rudimentary. UW services are not designed to permit continuity after graduation. UW services are not designed to teach the student that her privacy and autonomy are important. To put things in perspective about UW’s digital ecosystem vs. our proposed ByStar digital ecosystem, let’s consider a few examples. http://mohsen.1.banan.byname.net where Mohsen publicly presents himself. In the model of ByStar digital ecosystem, after completing his master’s thesis, the Electrical Engineering student uses his own autonomous ByStar service to self publish his master’s thesis. That thesis can also be republished using UW academic federated services. In the ByStar model, each student and faculty autonomously self-publishes and organizes his academic (and non-academic) writings. These autonomously self-publications can then be republished using UW and other academic federated services. http://mohsen.1.banan.byname.net/publications using ByStar Library Facilities. UW has the opportunity to provide students truly autonomous services through ByStar. UW’s adoption of ByStar can be evolutionary where ByStar and existing UW services are merged. The capabilities that ByStar offers are generally the same as what exists in the proprietary world today. The proprietary model is purely driven by economics and as such is not as strong in areas where markets are smaller. A particular area of strength for ByStar is multilingualization (m17n), internationalization (i18n), and localization (l10n). As another example, let’s consider the department of Language Learning Center (LLC) and the department of Near Eastern Languages and Civilization (NELC) at UW. These departments need to provide computing and communication services in multiple languages. And amongst the languages and scripts let’s consider a difficult one, perso-arabic — Arabic and Persian script are bidirectional and shaped. With proprietary software and services, UW’s LLC and NELC end up with primitive and poorly supported proprietary tools for perso-arabic. Here is an area where in terms of functionality and capability ByStar is superior to what exists today in the proprietary world. To see the full range of ByStar’s capabilities for Arabic script and Persian/Farsi languages see http://www.persoarabic.org. By adopting ByStar, UW’s LLC and NELC would end up with better services for their user-base. Nike builds and sells exercise equipment. Some of these equipments capture and maintain information about the user’s exercises. Usage and processing of this personal information has positioned Nike to become a limited internet application service provider. The FuelBand comes with access to the Nike+ web community that is setup via the Nike+ Connect Software. The Nike+ web community allows the product owner to create an online profile where they can showcase their personal statistics, such as how many goals have been met, how many steps have been taken, and how many NikeFuel points have been amassed. The profile also displays the trophies and achievements the individual has unlocked, and can be integrated with Facebook and Twitter in order to connect with friends. Upon logging into the Nike+ site, the user is given a graphical display of their daily activity, proximity to hitting their goal, positive feedback, and recommendations for more activities. The website also has an activity section that gives a graphical breakdown of the user’s total activity by year, month, and day. Through its device, Nike’s internet services approach has been to put itself at the center, to receive the user’s personal information, to process it and to keep it. This is very different from our ByStar proposed autonomous model which focuses on the privacy of the user. As another example for activity tracking, let’s consider Precor. Precor designs and builds fitness equipment (e.g., treadmills) for workouts. Precor’s equipments gathers information about details of each user’s workouts. Should Precor mimic Nike’s model? What is a Precor user who also has a Nike+ FuelBand to do? How many accounts and passwords does she need? This ByStar proposal is about doing it right. It is about preserving the user’s autonomy and privacy. It is about letting her have her own internet service where she keeps her Nike+ FuelBand and Precor information. These two approaches are very different. Nike has built a proprietary non-autonomous internet application service. We are proposing that Nike would go a lot further by adopting or licensing ByStar. Here we are using as example an entity concerned with morality, autonomy, and privacy. This notion of course is not limited to religious organizations, the Electronic Frontier Foundation (EFF) would have been an equally apt example. Overlake Christian Church (OCC) is physically located near Microsoft main campus near Bellevue, WA. Let’s imagine that some Sunday, the Overlake Christian Church was willing to engage in the philosophy, ethics and morality of using proprietary services such as MSN, Facebook or Gmail. And that the Church’s moral conclusions were to be consistent with ByStar ideology: that, internet services should be internally transparent and non-proprietary. That, internet services should be autonomous. That, internet service operator should in practice guard the privacy of the user. Based on these conclusions, OCC could encourage its congregation to stop using proprietary services and to join ByStar. As a further step the church could provide ByStar Federated services for its members. You may already have a Layer 7 strategy in place, including existing services and partnerships. These cannot be abandoned overnight. The non-proprietary nature of the Libre Services model may conflict with your current business models. Making the strategic shift from your current Layer 7 approach to this new approach is a non-trivial thing. This requires thought, analysis and buy-in from multiple constituencies within your organization. Realistically, therefore, we do not seriously expect you to make an abrupt change of direction based on this written proposal. On the other hand, it is now abundantly and incontrovertibly clear that Libre Services is the way of the future. This may not be well understood among the industry at large, but for those of us who really know what’s going on, this is as conclusive a factual reality as global warming. Furthermore, the opportunity presented by the ByStar Libre Services is completely real. There is nothing theoretical or speculative about the ability of your company to deploy ByStar, exactly as we describe. This proposal therefore warrants some degree of internal thought and analysis. Realistically, acceptance of this proposal is not an all-or-nothing thing. Rather, it is a matter of degree and timing. What we present here is our vision of the future. To the extent that you agree with this vision, you may wish to begin preparing for it. At the end of this proposal we present our suggested next steps for how to begin this preparation. What we suggest is a positive, proactive approach. But the approach you take will, of course, be the one that is right in your own company context. If this proposal interests you at any level, either as something to begin active preparation for in the near term, or as something to take a long-term wait-and-see approach, we are available as consultants to assist you in your process. You can become your own independent Libre Service provider, with the ByStar services rebranded under its own name. You will be operating the service in full. Any enhancements you make to the service must also be subjected to the AGPL3 license. You can become your own proprietary Internet Service provider, with the ByStar services rebranded under your own name, but not maintained as a Libre Service. In this case you should obtain a commercial license from Neda. You can become a franchise provider of the ByStar services, providing and maintaining the services under the ByStar branding but operated by You. You can enter into a business partnership with Neda, in which Neda delivers the ByStar services to your users. Each of these business models offers a different pattern of risks and benefits. Your own company can adopt the model that best fits your overall business strategies. ByStar value chain is a high-level model of taking raw externally developed Libre-Halaal software as input, adding value to these software packages through various processes, and providing finished services to users. In Figure 1, we illustrate the ByStar value chain on the left column and its inter-mixing with proprietary value chains on the right column. Focusing on the right column of Figure 1, notice that “Neda Operated ByStar Services” establish a direct relationship with Subscribers and Users at the very top. Note that the scope of these internet services is everything – the * in ByStar – and that the intended scale of these services is planet-wide. By definition, no internet services opportunity can be bigger than that. The arrows between Neda Services and User/Subscriber in Figure 1 include an element of “Trust and Respect” which is the result of “ByStar Ideology” that we presented earlier. The element of trust and respect is fully absent in the left column. In business terms, Trust and Respect, translate into “stickiness” – where the user is more committed to the service. So, you see, all our investments in ideology are actually also business wise. All of the ByStar value chain software is Libre-Halaal (Free and Open Source) software. ByStar software in Figure 1 is shown in two different colors. The software in bright blue represents Debian and/or Ubuntu GNU/Linux and the specific software packages that we have chosen. These are externally developed open source software packages which are typically subject to the free software GPL license (or similar) which permits their inclusion in proprietary services. This is often refered to as ASP loophole. The software in bright green is the software that Neda has developed. It is subject to the “Affero General Public License Version 3” (AGPL3) and Neda Commercial License (Dual Licensed). AGPL3 closes the ASP loophole. Any ASP which uses ByStar software must subject its changes and improvements to AGPL3. Those ASPs not wishing to do so, can use ByStar software through the Neda Commercial License. In the left column of Figure 1, we illustrate a typical proprietary ASP who is incorporating ByStar as part of its services based on the Neda Commercial License. In this environment the model for implementation of ByStar service functionality is not one of original software development. Rather it is a matter of selection and integration of already available software packages. Virtually all existing ByStar service functionality has been created this way—in building ByStar we have written almost no new software components at all. Design of LSIP and the ByStarEntity Software Platform recognize the evolution of underlying external software (bright blue) in the ByStar value chain. This is the extraordinary magic of Libre-Halaal software and services: the ability to take things and reuse them at extremely low cost. This is the fundamental growth dynamic of Libre Services, and the powerful generative force that is lacking in the proprietary model. This is the key dynamic that causes the ByStar Libre Services eventually to surpass the proprietary model entirely in terms of features and functionality. In the remainder of this document we present an outline of how we propose to work with You. Given the large scope of the intended project, we propose that the project be approached in two phases. Conduct a business and technical analysis of the addition of Layer 7 services to your existing Layer 3 services. Establish the appropriate technical and business models, and other initial deployment parameters. Deploy ByStar at a scale of 1000 within your own network. Develop an implementation plan for Phase 2. Phase 2 will consist of large-scale development and deployment. The details of Phase 2 will be established during Phase 1. Assist you in conducting a business analysis of ByStar within your own context. Establish the appropriate business model for deployment of ByStar services. Assist you in conducting a technical analysis of ByStar within your own context. Establish which ByStar services and functionality are most relevant and appropriate for deployment. Define the scope and scale of the initial pilot service. Deploy the pilot service at a scale of 1000. If necessary the Neda Data Center (LibreCenter) can be used for this purpose. Formulate a detailed implementation plan for Phase 2. We estimate it will take approximately 3 calendar months to complete all Phase 1 tasks and deliverables. If you are interested in pursuing this proposal, we will initially work with you to establish a formal Statement of Work for Phase 1. We will provide a more accurate schedule once the Statement of Work is in place. The commercial terms for this project will be governed by our Rates and Policies for Contracts and Consulting, available on request. We propose that Phase 1 of this project be undertaken under a consulting (time and materials) contract. For Phase 1 we can offer our Long-Term consulting rates, as described in our Rates and Policies. We estimate that Phase 1 can be accomplished by two Senior Consultants contributing 30 hours per week for 12 weeks, and one Staff Consultant contributing 25 hours per week for 12 weeks. Actual times and costs will depend on a number of factors to be determined, such as the precise scope of work and the availability of Client staff to provide technical liaison. Our estimates are based on reasonable assumptions and our experience with other projects of a similar nature. (Client action.) The Client to review this proposal, and external documents and websites as necessary. We suggest that you start with pointers enumerated in Appendix A. (Neda/Client action.) If you are interested in pursuing this further, an initial meeting to be scheduled for a first round of discussion and Q & A. (Neda/Client action.) Neda and the Client to work together to establish a formal Statement of Work for Phase 1. (Neda action.) Based on the Statement of Work, Neda to create a formal project proposal for review and consideration by the Client. Finally, it is worth noting that if you were to attempt to become a proprietary Internet Services provider, the required development costs would be on the order of millions of dollars. Instead, the equivalent capability is being offered to you at no cost. The price quoted under Commercial Terms represents only the cost of delivery. We propose to work with you as consultants to deploy ByStar as your own service offering. We have all the necessary experience and assets for this. Neda Communications, Inc. is a provider of consulting, web hosting, and software engineering services to the data communications industry. We are a privately held company, founded in 1991, and with a proven track record of technical and business expertise. The proposal presented here represents a limited consulting relationship with Neda. However, if You wish to participate in the Libre-Halaal ByStar Digital initiatives in a broader context, a more formal partnership and corporate financing are available options. The ByStar business plan provides complete details of the opportunity open to potential business partners, including the availability of equity as a vehicle for corporate partnership and investment. If this is something that may be of interest, please include your corporate development team as participants in further discussions with us. We have created a complete parallel Libre-Halaal Digital Ecosystem to stand against and in contrast to the existing Proprietary American Digital Ecosystem. Preservation of ByStar user’s autonomy, privacy and freedom are the primary factors driving design of ByStar Services. Health of society is our goal. The correct (halaal) manner-of-existence of software and correct manner-of-existence of internet application services are our focus. ByStar has enormous implications. The Libre-Halaal Services development model, and the ByStar unified services model, can transform the entire global Internet completely. They can transform it from its limited, proprietary, ad hoc incarnation of today into something far more powerful. But ambitious though it may be, this initiative is fully thought out and fully documented. To put it in its intended widespread usage, we also need your participation (our fellow engineers, journalists, financiers, academics, government representatives, ethicists and users). Here we provide a reading road map for this vast picture. The big ByStar picture is shown in Figure 2. Each of the layers in this figure represents either a conceptual definition (shown in blue), or an actual software/service implementation (shown in orange). Each layer builds on the layers beneath. PLPC-180016 describes the totality of Libre-Halaal software, Libre-Halaal internet services, content generation and content publication facilities and societal frameworks that are designed for preservation of ByStar user’s autonomy, privacy, freedom and health of society. The gigantic picture we have drawn in Figure 2 is a blueprint. It represents a complete framework for collaborative work towards an alternative to the current proprietary digital ecosystem. By aligning ourselves with the natural forces and dynamics of poly-existentials, and by means of large-scale unrestricted collaboration, we can achieve this. Starting from the lowest layer, we now provide a brief description of each layer and its associated documents. The lowest layer (Layer 1) is a general conceptual layer, presented in green in Figure 2. Our focus as engineers, is to build the right thing. Layer 2 is a general conceptual layer, presented in green in Figure 2. 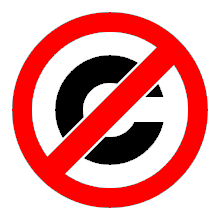 Central to our approach is full rejection of the Western so-called Intellectual Property Rights regime of copyright and patents. In that paper we analyze and discredit the Western Intellectual Property Rights regime based on the inherent nature of what it seeks to control and restrict – poly-existentials: all that can be learned and remembered and all that is digital. The Western intellectual property rights regime is in conflict with nature, it does not serve the ideal intended purpose of societal regulations, i.e. to balance rights equitably among conflicting constituencies. On the contrary, it has the effect of enriching a minority of powerful vested interests, to the very great detriment of society at large. The detrimental effects include the obstruction of engineering creativity, a distortion of the competitive business environment, and denial of the benefits thereof to the public. Layer 3 is a societal and engineering profession conceptual layer, presented in blue in Figure 2. We focus on the correct manner-of-existence of software. Layer 4 is a societal and engineering profession conceptual layer, presented in blue in Figure 2. Layer 5 is a tangible layer, presented in orange in Figure 2. It refers to the actual ByStar internet application services. The Libre-Halaal model is not just theory. We have built a set of real, working, in-use Libre Services. We call these the ByStar Federation of Autonomous Libre Services. By* (pronounced “by-star”) is a unified services model, unifying and making consistent a large number of services that currently exist in functional isolation. It is a coherent, integrated family of services, providing the user with a comprehensive, all-encompassing Internet experience. The ByStar services are based on 100% Libre-Halaal software and patent-free protocols, and are thus completely transparent and reproducible by anyone. They are a communal public resource, not owned by anyone, freely available for use by society at large. Their widespread deployment and usage is in the direct interests of the general public welfare. Layer 6 is a tangible layer, presented in orange in Figure 2. It refers to the actual software of user environments. Layer 7 is an economics and business conceptual layer, presented in yellow in Figure 2. It is in the form of an in use open business plan. The economic and business consequences of Libre-Halaal software and services are a fundamental shift of business operations from the for-profit, proprietary quadrant into the for-profit, non-proprietary quadrant. The halaal manner-of-existence of software creates a powerful generative development model for halaal internet services. This generative model is absent from proprietary/haraam internet services. Thus halaal internet services have a major advantage and can compete directly with proprietary/haraam Internet Services in terms of development. Layer 8 is a conceptual layer, presented in blue in Figure 2. The totality of halaal software, halaal Internet services, content generation and content publication facilities, and societal frameworks that we described, forms the “The Libre-Halaal ByStar Digital Ecosystem”.